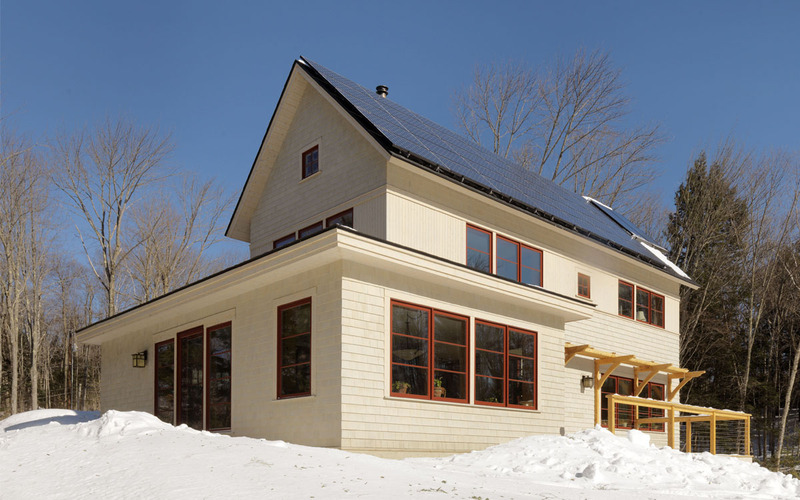 This 2400 square foot home in Calais, VT is a net-zero building that produces as much energy as it consumes. 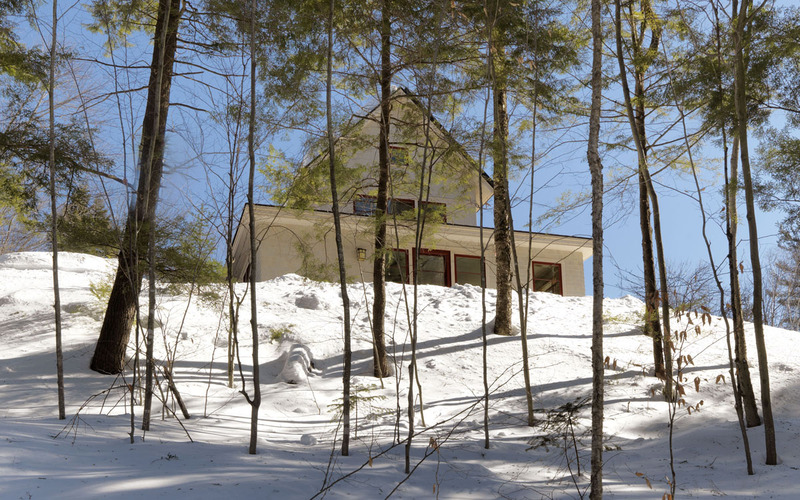 The house is situated in on a wooded hill overlooking a pond. 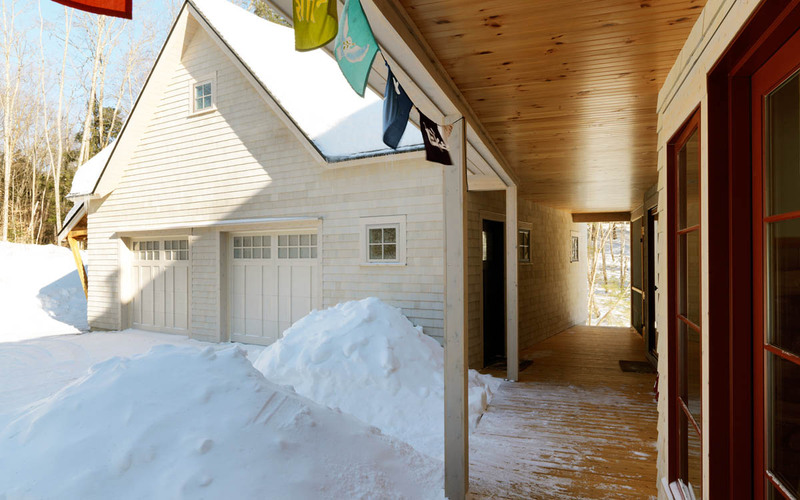 The majority of the windows are oriented to the south for passive solar heating, while a screened-in porch to the west overlooks the pond below.